This program is helpful in providing real time data on patients outcomes to help track cost and ensure each patient is getting appropriate care. It is also very important with the change to value based care to ensure physicians are doing their part to reduce readmissions and costs and this program helps track metrics like this. 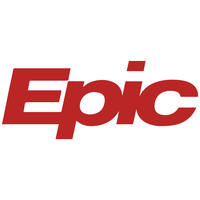 Since Epic is such a large program and company, sometimes it is hard to get customer assistance when trying to run a certain report or any other more specific issues with how you may want specific data to appear. Again, as value based care becomes more and more of a focus, the Healthy Planet program allows you to see with past and current data the cost and quality of patient care which makes the process of gathering all this data much quicker and easier. It also allows us to have quicker access to patients records which is helpful in providing timely patient care which also reduces cost and improves quality. "Review for Epic: Healthy Planet"
I love that it gives its user an easier way to look through patient reports, access work flow, and manage patient population thoroughly! It is very useful for bulk communication, ordering, and ofcourse filtering through patients charts and information! The best thing is that when the hospital receives the data from the software it aids in funding towards the hospital. "Epic Continues to Dominate the EHR Market"
Healthy Planet is great way for companies to coordinate their population health needs. Not much I can here other than licensing costs may be a bit much for smaller companies. I work as a healthcare analyst for a large ambulatory system. Health planet works based off of Epic's data ware enterprise, Cogito. It helps with monitoring of our organization's population health needs by currently registeries to identify and monitor patients with certain disease states (diabetes, CKD, hypertension, etc.). From there, you now have the capability to send bulk communications, bulk orders, track outreach, etc. * We monitor all Healthy Planet reviews to prevent fraudulent reviews and keep review quality high. We do not post reviews by company employees or direct competitors. Validated reviews require the user to submit a screenshot of the product containing their user ID, in order to verify a user is an actual user of the product. Hi there! Are you looking to implement a solution like Healthy Planet?